Vivien Leigh doesn’t so much step through a trail of locomotive steam as she emerges in a world of opposing values. The opening shots of Elia Kazan’s “A Streetcar Named Desire” expose this facet of truth almost without conscious insinuation; because the frame is occupied by that dreamy sense of certainty that often comes with evocative black-and-white photography, our eyes are quick to notate details that seem out of place with the formality of the material. Her arrival is placated by all the traditional verbal facets of narrative engagement (a moment in which a character asks for directions while at a train station was often a staple of these sorts of movies, for example), but when she waltzes into the dimly-lit French quarter of New Orleans searching for her sister, the first memory imprint is that of streets littered in trash, and nameless onlookers that seem to be past the point of simple intoxication. While such visualizations were the stuff of those well-kept secret corners of mainstream society – at least according to the naïve historians – they had scarcely been used in the movies by that point, and never to such a blatant degree of honesty. The audacity of any director to catch a glimpse of such unpolished realism might have been forgotten over time in the sweep of culture shifts, but Kazan’s nerve in that one instance was more than just momentary inclination: it was the first of many surprises on a springboard of fresh perspective and literal psychology at the movies. 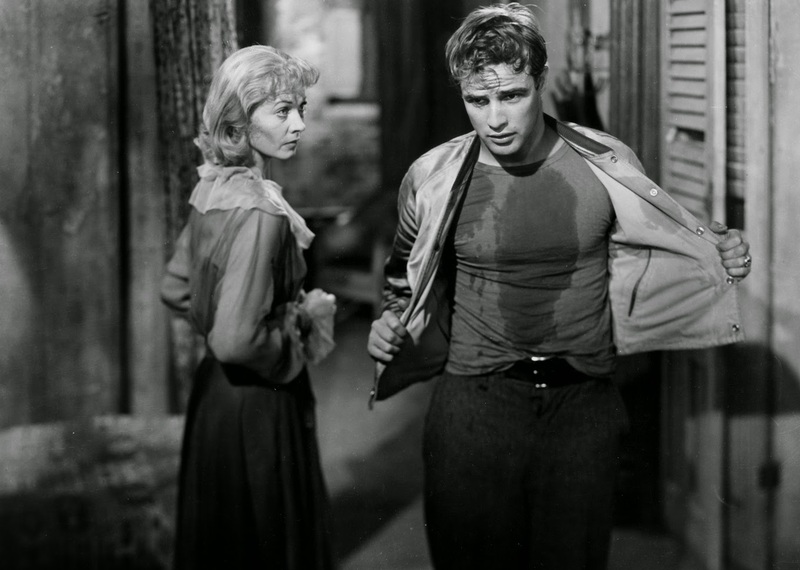 “A Streetcar Named Desire” represents the pinnacle of the dramatic shifts of the film screen: that divisive moment when facades and formalities were allowed to fall in order to expose us to the more frontal nature of tragic human realities. 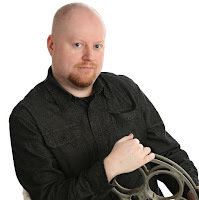 Seeing the film reminds us instantly of our perennial desire to be swept up into a compelling story, but our incessant need to return to it so often over the years is not just because it tells a great tale, but that it does so with mesmerizing intensity while transitioning away from glossy Hollywood sentiments in order to penetrate to the core of relatable human experiences. And that it does all of this while simultaneously announcing the arrival of the unforgettable Marlon Brando only emphasizes how remarkable the film’s many considerations remain in understanding the progressive nature of cinema. It all begins, they say, with a compelling premise. The great Tennessee Williams may have been born and raised in the spotlight of the theater, but his sense of dynamic storytelling was such that it often translated to the big screen with endearing accuracy. In “Streetcar,” his intentions are immediately transparent: this is a character study about that oh-so-shaky subject of mental illness. The premise revolves around Leigh’s Blanche DuBois, a charming but fragile belle who has left the comforts of a deeply-rooted southern existence and wandered almost unwillingly into the dingy streets of a foreign land in search of emotional comfort, namely from her younger sister Stella (Kim Hunter). Immediately there are clear distinctions between them: Blanche is a worldly and engaging sort who paints over her insecurities with those all-too-familiar southern euphemisms (“why, you’re as plump as a partridge!”), and Stella assumes the role of the observant but loyal sibling who hides her own discomfort for the sake of keeping peace amidst possible conflict (and not just with her sister). But what does Blanche need comfort from, exactly? Very little is obvious to her sister or the audience; a luxurious plantation passed down in the family through generations has apparently been lost to foreclosure, and yet the aging sister’s emotional state suggests there are many other details to the story left untold (this is also emphasized to great effect in an early scene where Blanche reacts to music on a nearby street, and the sound of her memory plays over the moment so that we are allowed to hear a horrific distant gunshot). Just as Blanche begins to regain some lucidity from those tormenting memories, the engagement with her perplexed younger sister is disrupted by the abrupt arrival by a brutish, uncultivated force: Stella’s husband Stanley (Brando), a simple but paralyzing sort who feigns courtesy while adopting suspicious undertones in between snappy dismissals (“You know, if I didn't know that you was my wife's sister, I would get ideas about you”). She isn’t too marveled by his demeanor beyond the rugged good looks, either, though her dialogue reeks of those age-old southern manners: “I guess he’s not the kind that goes for jasmine perfume.” Beyond the icy veneer that makes up their interactions – which is aggravated greatly as Blanche remains a guest in their home over the course of months – dialogue drives the engine of this plot into intrusive personal histories. Most (like those that haunt Blanche directly) reveal themselves as a consequence of manipulative impulses, while others (including the animalistic but violently quarrelsome relationship between Stan and Stella) simply occur as consequences of everyday engagement. And in the midst of these conflicts are the observations of a shy but easily enamored Mitch (Karl Malden), who is quickly won over by Blanche’s magical charms without directly seeing what she is hiding until far too late. Much happens to these four in this span of two hours of screen time, but always it comes right down to the opposing approaches of Blanche and Stanley, who operate like tuning forks rebelling against each other’s frequencies. If Leigh’s vigor for intense emotional concentration made her an appropriate cast for Blanche, then Brando’s was a stroke of contrasting genius that resonates beyond all initial impulses. A man of the theater who dropped out early on in favor of the immediacy of motion pictures, he is often credited for introducing moviegoers to the concept of what would eventually be classified as “method acting” – that is, the art of embodying a character’s thoughts and tendencies in order to connect directly with their state of mind. His brilliance is noticeable from the very first moment he steps into the scene, and even the production itself seems aware of that prospect; the camera is quite literally paralyzed by his overwhelming presence (that first unbroken gaze seems to intentionally linger), and the soundtrack transitions from morose undercurrents to almost seductive piano key progressions. Those around him see him as little more than a mean, disparaging brute without verbal filters, but that classification might diminish the prominence of the performance that frames it. Just as Leigh’s Blanche almost signifies the slow death of screen personas that used evasive body language and verbal deflection to cloak dark secrets, Brando plays things with such straight conviction that his Stanley bring us to the absolute epicenter of being – a move that seemed so brazen in its day that it even won him an Academy Award nomination. The drive Kazan possessed as a director here was, we gather, the same that inspired Williams as a stage writer: the need to arrive at the absolute center of a truth. By 1951, both had already been well on the way to implementing that practice with startling accuracy; Kazan’s “Gentleman’s Agreement” dealt with the subject of anti-Semitism far too early for Hollywood to consider it “in fashion,” and Williams’ own “The Glass Menagerie” was heartbreaking in its ability to penetrate to the source of tormenting human emotions in the middle of a crumbling family. Their synergy in “Streetcar” is not the stuff of accidental precision; they established a union of direct values, and filled the screen with avatars who could convey those messages with startling intensity. Brando and Leigh remain electric both as individuals as well as opposing forces, but even Malden (and even to a lesser degree, Kim Hunter) manage to maneuver their way through this plot with certain relatability, and each is used to great effect in scenes that either double back around or rouse them to action. The critical final scene – which was actually a different ending altogether than the play’s – is still remarkable in the way it offers glimpses into the early social significance of female empowerment, and the fact that Hunter wills her character into the situation with believable ease only emphasizes the deepest of truths regarding this production: that the filmmakers simply refused to cast it with actors who weren’t willing to go the added mile for their art. But think about the deepest of the movie’s subtexts beyond that: what endeavor of those years even bothered with such a murky subject as mental illness, much less portrayed it with such biting commentary? Not until “The Three Faces of Eve” arrived six years later would the concept even be looked at from a place of mainstream acceptance; in those uncertain years leading up to the new wave of international cinema, topics often remained stoic or melodramatic, because studios stuck to the view was that motion pictures should reflect the illusionary values of a society without underlying uncertainties. How remarkable it must have been to those seated beneath the theater lights in 1951 absorbing such audacious suggestions as these. How did they react on the first shot of Blanche cowering in terror at the piercing sound of the gunshot? How did they feel when Stanley’s investigations created disturbing reveals? What was the reaction when her shocking confession to Mitch emerged in a moment without any sense of setup or warning? And in that legendary climax where the two leads are no longer capable of turning away from the worst of their behaviors, did anyone watching react with beyond the sting of shock? “A Streetcar Named Desire” possesses all of these mind-altering devices and yet has never been one of those movies eager to call them directly to our attention. It is too confident for that. And just as those strokes of genius continue to inform our desire to understand the psychology of the fragmented human mind, so does the striking accuracy of Leigh and Brando inflict itself on us as a watershed moment in the history of motion picture acting.